Children are usually quite irritable and fussy when it comes to brushing teeth. However, it is important for the parents to make sure that they are helping the kids maintain good oral hygiene daily despite the tantrums! Children have a special set of teeth known as the deciduous, primary or milk teeth which begin to appear in the mouth at as early as 6 months of age. These teeth are smaller, temporary, and are later replaced by the permanent dentition when they start shedding at 6 years of age and onwards. Even though milk teeth are temporary and are bound to be replaced with the secondary dentition, it is important to keep them clean, healthy and cavity-free. Children can’t always manage to clean their teeth properly because let’s face it, for them it might actually be a more complicated task than we think! Another problem is that children tend to snack quite frequently on sugary food and beverages which makes their teeth more susceptible to bacterial attacks and decay. Neglect on part of the parents can lead to the development of cavities which can be rather painful for children, preventing them from eating properly and ultimately affecting their health. Monitor their eating habits; provide them with healthy, balanced meals thrice a day and discourage sugary snacks and beverages. Purchase a tooth paste that is suitable for your child according to his/her age, and use only a pea-sized amount of the paste for brushing. Educate your children regarding the importance of brushing, and also about the effects of bacterial attacks on teeth in order to help them understand why brushing twice a day is essential. 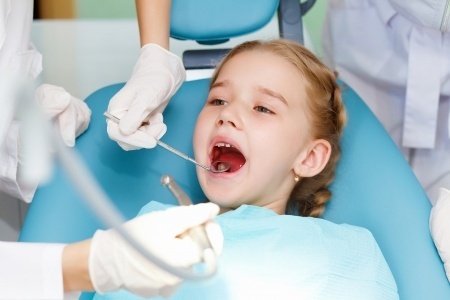 Visit the dentist regularly to have the child’s teeth professionally examined and assessed on routinely basis.